(CBS) - Halloween is fast approaching as you all know, and humans aren't the only ones getting into the spirit of things. We've got a couple of adorable videos for you this afternoon of pets dressed up in their costumes for this holiday season. 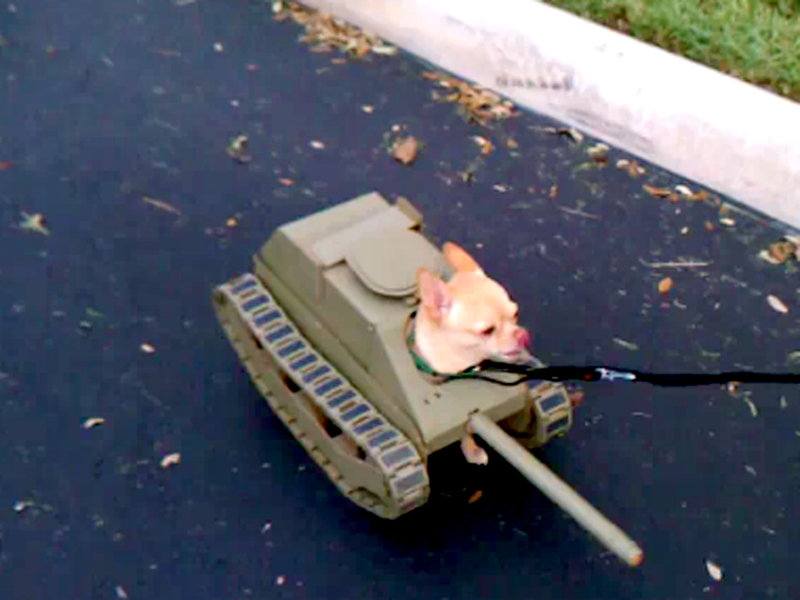 First up is a tiny Chihuahua dressed up as an intimidating tank - take a look. ***1st Place at Petsmart! Tangent now walks comfortably in his costume, I will upload a new video soon! *** Tank costume for Halloween pet costume contest. The dog is well rewarded with treats. I have since fixed a part of the back of the tank that was hitting his leg. And next up in the video below we have a cat dressed up as something called a "Pumpkin Vampire Kitty". The meal being enjoyed is fresh chicken dipped into pumpkin sauce. Sounds both delicious and festive! And if you're looking for more Halloween laughs, be sure to check out our slideshow below.